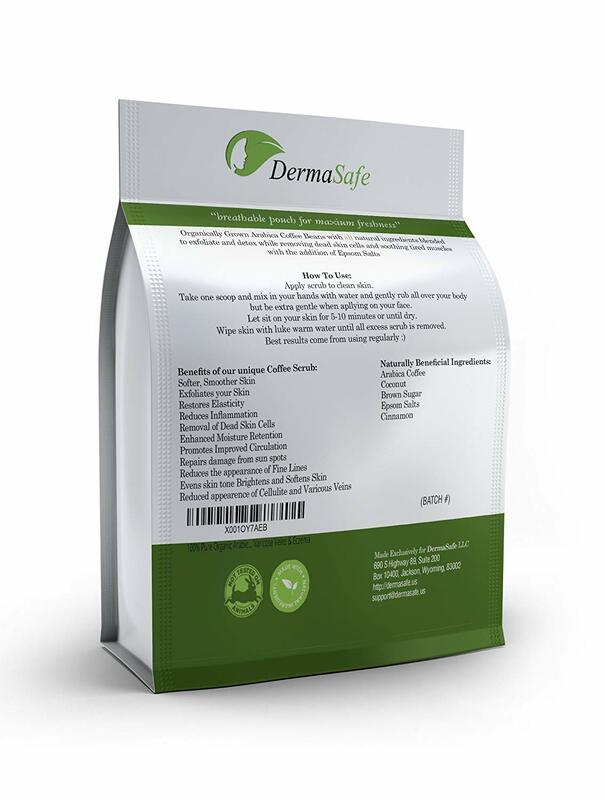 COFFEE SCRUBS BENEFITS: Are you looking for the ultimate defense against cellulite, spider veins, varicose veins, stretch marks, eczema and just want a great anti-aging body scrub with amazing detox properties then look no further as we believe we have delivered just that. This 100% natural product contains the very best combination ingredients like Arabica Coffee grown by the hill tribes high in the mountains of Thailand. With Coconut, Brown Sugar and Epsom Salts. ROASTED AND GROUND ARABICA COFFEE BEANS. 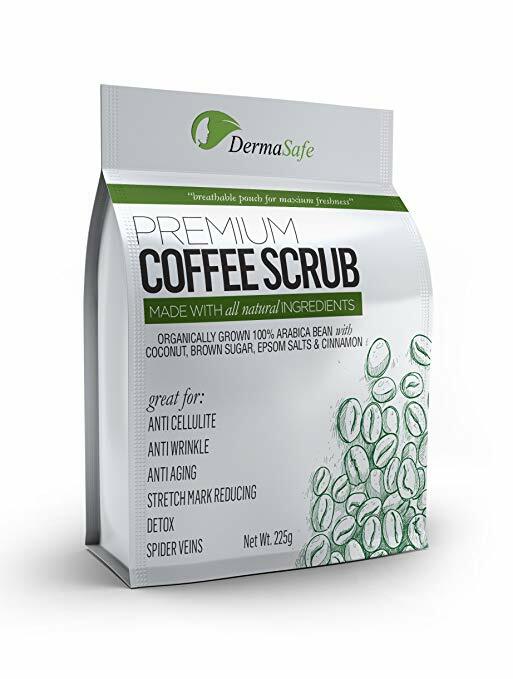 Only the finest beans make the cut of DermaSafe Coffee Scrub. We help support the local hill tribes who grow this organic coffee to not only provide us with the finest beans but to give back for them to provide for their farms and families. HIGHEST QUALITY INGREDIENTS: All our products are made with an FDA approved facility following strict GMP guidelines. Of course, our products are both Paraben and Cruelty-Free. If for any reason at all you're not happy, simply contact us for your money back. If you're not happy, neither are we! Order with confidence knowing that we've got you covered.